If you are planning a trip to Looe or to Totnes over the Easter weekend, or during this school holiday then pop into our shops and have a look at our ' Easter Madness ' sale. We have some superbly made wooden toys on offer that are already selling fast. 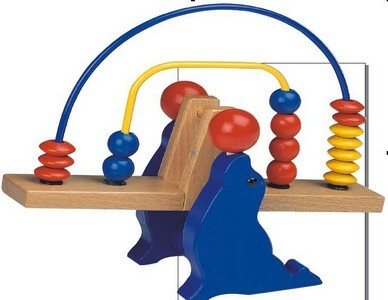 This wooden Seal Balancing toy is great value at only £6.00 and great for working out values and is also very accurate. 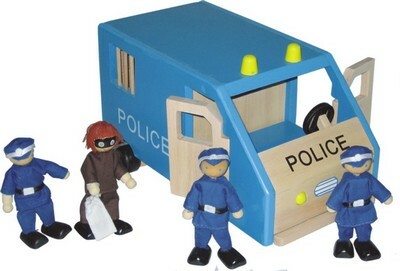 If your child ren are into roll play then there is this excellent wooden Police Van with 2 flexible dolls. The rear and side doors open so the dolls can be moved in and out. There is also a wooden Ambulance with 3 flexible dolls, opening doors and a wooden trolley in the rear. Both reduced from £12.99 to £9.99. For the musically talented we have a very pretty Ladybird Drum with two drumsticks. Its well made and and sure to keep your children entertained and is now just £4.99. I think one of the best bargains is the Wooden Tree Dolls House. Its built up on four levels with ladders, swings, hoists, seats and a variety of wooden animals and other features. My grandchildren would love this and I know they would spend hours playing with it and at an amazing price of just £49.99 reduced from £79.99 its certainly something to think about when its their birthday. These are just a few of the special offer items and there are many more in our shops so if you are buying early for Christmas or a have birthday coming up soon then take a trip and visit us.